Psuty, N. P., A. Spahn., and W. Schmelz. Geomorphological Response to Extreme Events, Great Kills Park, Gateway NRA. 2014 AAG Annual Meeting, Tampa, Florida, April 2014. Psuty, N. P., W. J. Schmelz, A. Spahn, 2014. Landform Evolution as the Conceptural Basis for the Geomorphological Map of Fire Island. Fire Island National Seashore – 9th Biennial Science Conference, Patchogue, NY, March 28, 2014. Oral presentation and poster presentation. Psuty, N. P., W. Schmelz, M. Patel, W. Hudacek, S. McLloughlin, J. Freeman, W. Robertson, and M. Towle. Geomorphological Mapping in the Coastal Parks: Application of the Conceptual Basis of Landform Evolution. Geological Society of America, 2013 GSA Annual Meeting in Denver: 125th Anniversary of GSA, Denver, October 2013. 2011 Psuty, N.P., T.M. Silveira, and A. Spahn. Managing Sediment Budget: Applications and Opportunities, Gateway National Recreation Area, National Park Service, International Coastal Symposium 2011, Szczecin, Poland, May 9-14. Silveira, T.M., and N.P. Psuty. Alongshore Geomorphological Evolution of an Artificial Sand Barrier, Plumb Beach, New York City, Gateway NRA. Association of American Geographers Annual Meeting, Washington, D.C., April 14-18 2010. Psuty, N.P., and T.M. Silveira. A Multi-Scale Monitoring Program to Measure Coastal Change, Northeast Coastal and Barrier Network, NPS. Geological Society of America, Northeastern-Southeastern Regional Meeting, Baltimore, March 2010. Psuty, N.P., B. Sullivan, C. Roman, M. DeLuca, L. Auermuller, T.M. Silveira, J. Dobarro, T. Grothes, and M. Christiano. 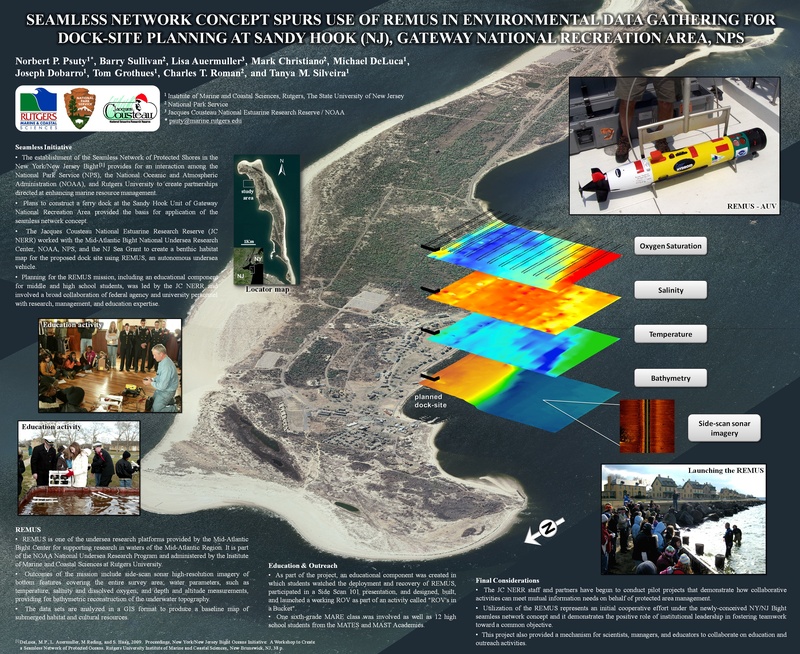 Seamless Network Concept Spurs Use of REMUS in Environmental Data Gathering for Dock-Site Planning at Sandy Hook, Gateway National Recreation Area. Coastal Zone ’09, Boston, July 2009. Atlantic City Sea Level Rise, 1911-2009. Silveira, T.M., N.C. Kraus, and N.P. Psuty. Beach Nourishment on the Tróia Peninsula, Portugal. Nicholas C. Kraus Honorary Symposium. Florida Institute of Technology, Melbourne, Florida, March 9-10 2009. Psuty, N.P., Global Climate Change: Opportunities for Coastal Foredune Development (Keynote Address). 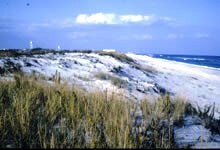 Changing Perspectives in Coastal Dune Management. Liverpool Hope University, Liverpool, UK, March 31-April 3 2008.